American pioneer James Witt Dougherty was important in East Bay history during the early years of American statehood. Dougherty came to California for the Gold Rush in 1849 and opened a produce business in Sacramento. He returned to Mississippi in 1850 and moved to today's beautiful Tri-Valley area in early 1852 with his wife Elizabeth and children. At one point he was the largest landowner in the Tri-Valley, with most of that land purchased from two Mexican rancheros -- 10,000 acres from Jose Maria Amador and 7,000 acres from Francisco Alviso. His holdings went as far south as today's Alviso Adobe and included Contra Costa's Tassajara and Dougherty Valleys. Dougherty tackled the challenge of removing squatters from the former Amador rancho lands by organizing an eviction crew. Some settlers had lived there for several years, built houses, planted orchards; many were armed and"were in no mood to be pushed around" according to one early source. The Dougherty family lived in Amador's large adobe next to Almadilla Springs until the 1863 earthquake destroyed it. Initially the Dublin crossroads (today's San Ramon Road and Dublin Blvd.) was called Amador's, then became Dougherty's Station. A post office with that name was established on February 15, 1860; it was discontinued in 1908. 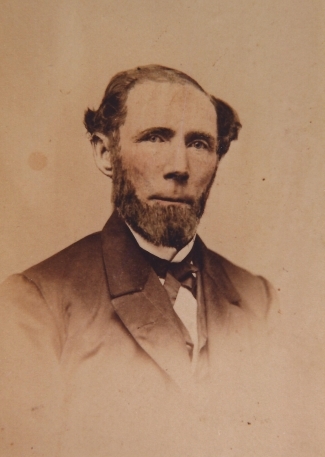 Dougherty served as Alameda County Supervisor for the eastern part of the County (called Murray Township) in 1855, 1856, 1857 and 1859. The pioneer Dublin Cemetery includes a prominent Dougherty family plot; he donated the western section of the cemetery as a non-sectarian burial area in 1867. His vast cattle herds were marked with the DG brand. In later years he worked on improved breeds of horses and raised Clydesdales and Normans. He built a hotel called Dougherty's Station around 1860 which was a fixture on the Dublin Road for nearly 100 years. Evidently Dougherty had said at one point "There are so many Irish here, you might as well call it Dublin." And indeed local leaders eventually named the crossroads Dublin. 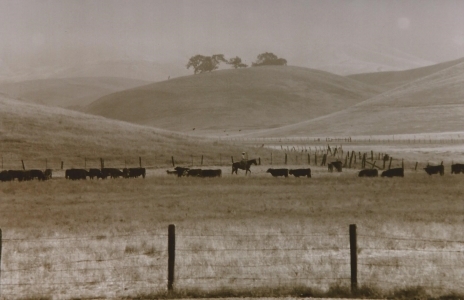 Amador's rancho lands in Contra Costa County came to be called Dougherty Valley and were ranched for over 100 years. During that time, land was leased by several ranchers who grazed cattle and raised hay and grain crops. Bud Nielsen and his TN Cattle Company were the primary ranchers for 50 years beginning in the mid-sixties and ending with the Valley's first development in 2004. Six thousand acres of the Dougherty Valley were purchased by Shapell and Windemere Homes and, after some complex litigation was settled, 9-11,000 dwelling units, parks, schools, businesses and public buildings are planned for the area. The City of San Ramon created specific plans and manages the development of this handsome new San Ramon community. Amador, Jose Maria, Recollections, 1877, an oral history at the Bancroft Library, UC Berkeley. Contra Costa Gazette, July 18, 1868, Dougherty's Station. Dotson, Irma M., San Ramon Branch of the Southern Pacific (Danville: Museum of the San Ramon Valley), 1991, pp. 5, 16, 56, 139-143. Stuart, Reginald R. and Grace D., Corridor Country, An Interpretive History of the Amador-Livermore Valley, Pleasanton: The Amador-Livermore Valley Historical Society, 1966.